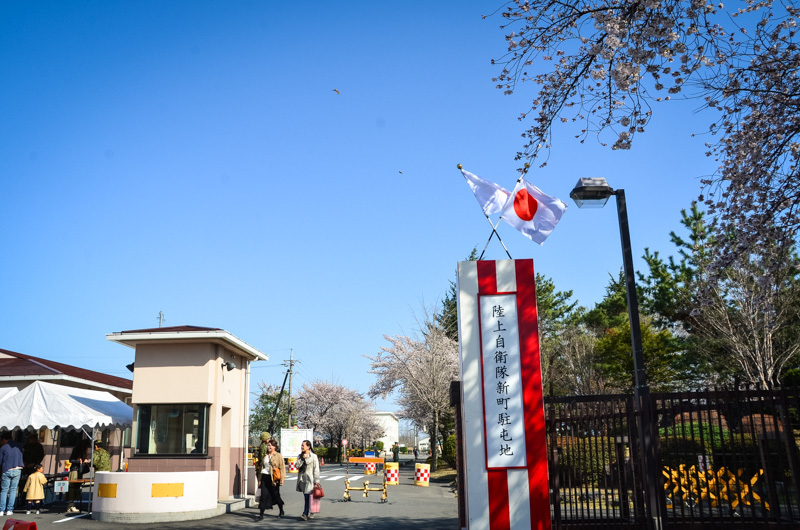 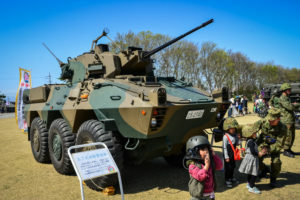 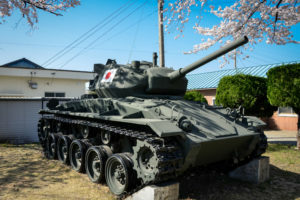 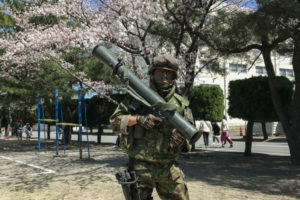 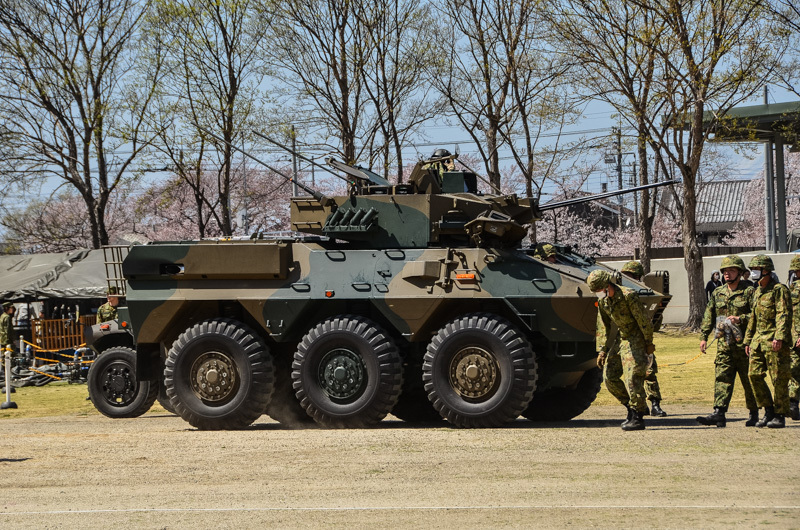 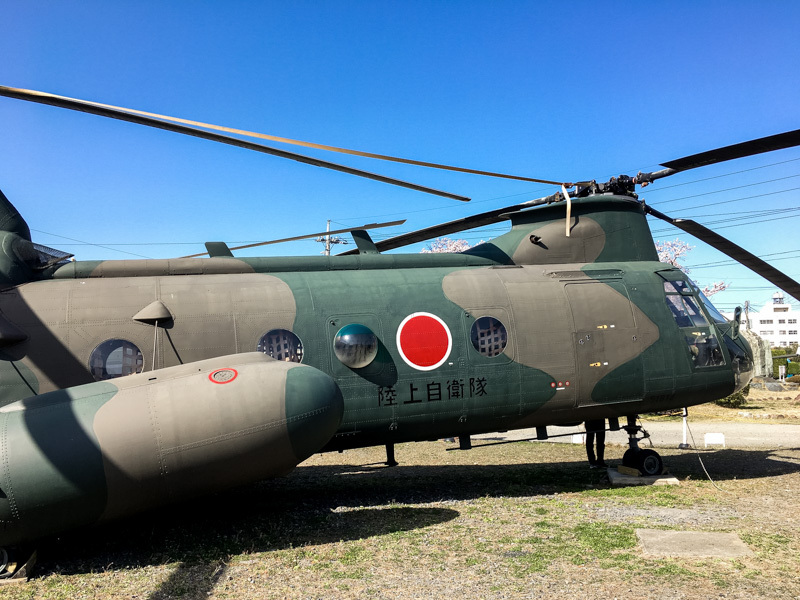 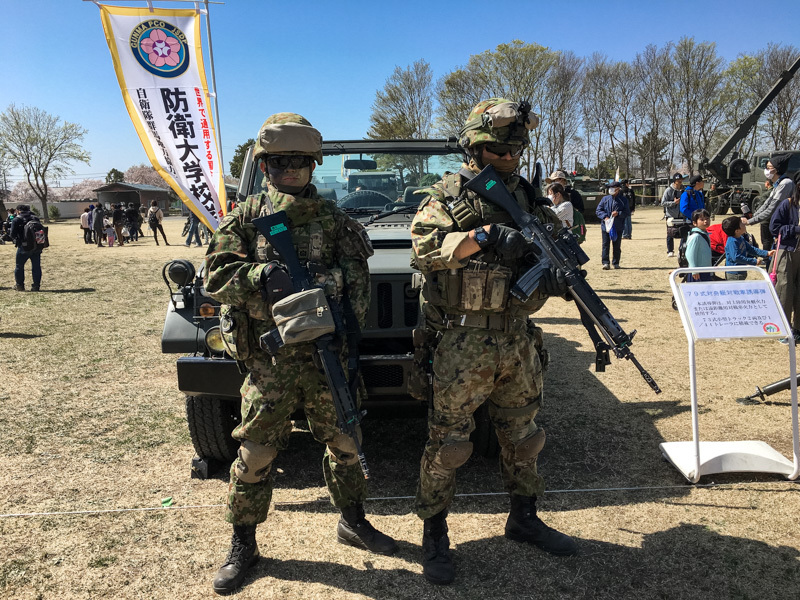 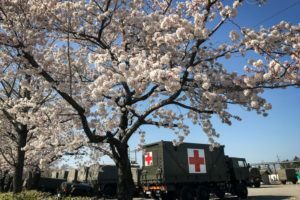 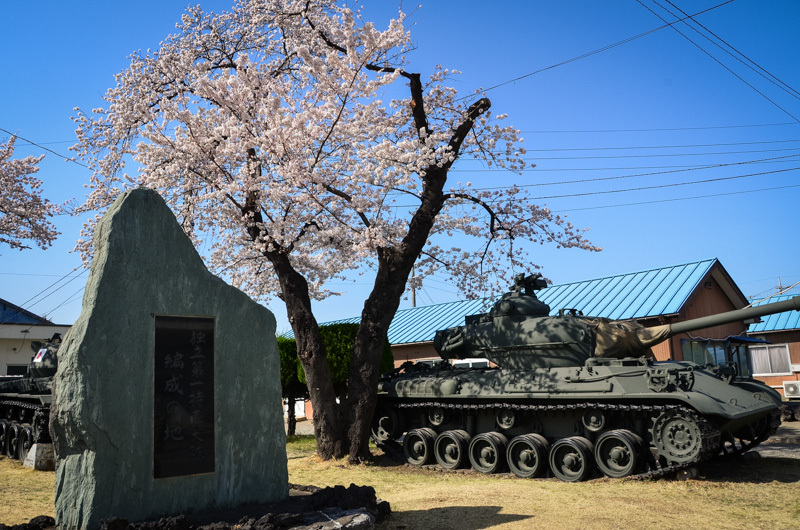 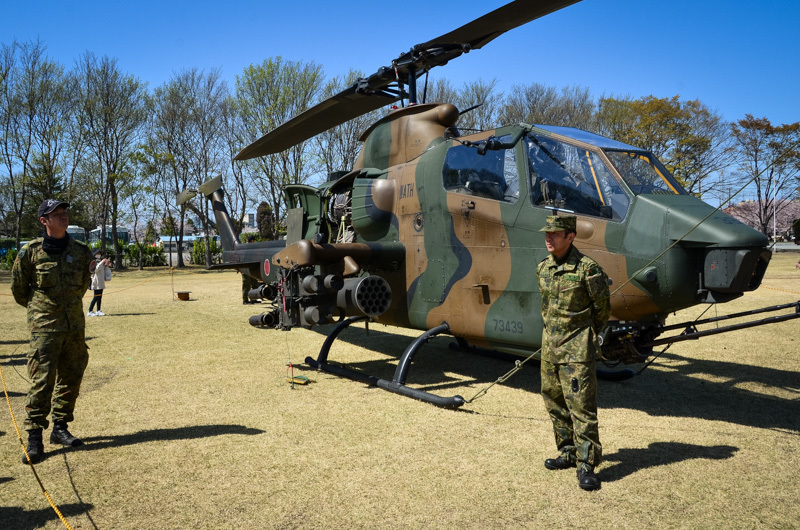 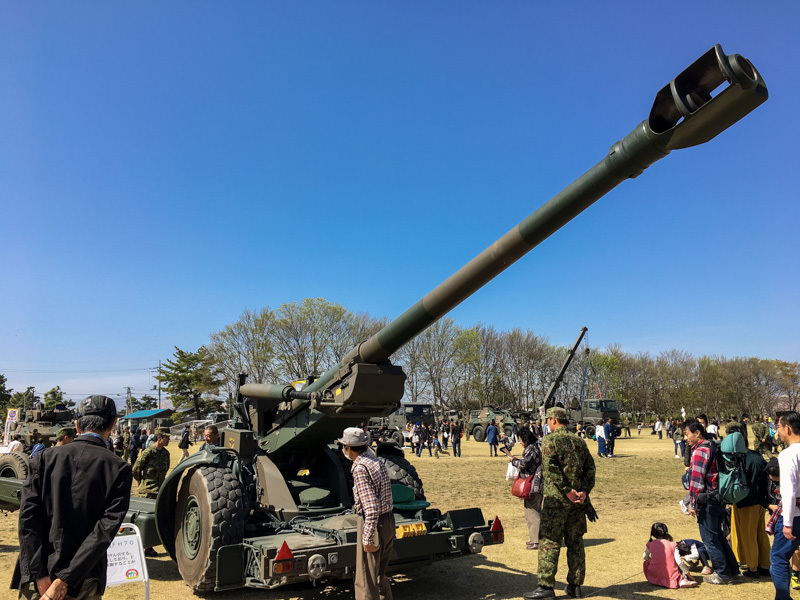 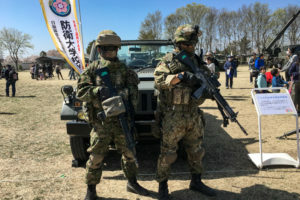 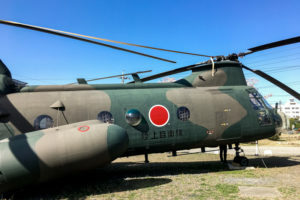 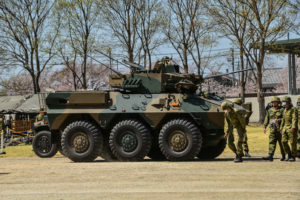 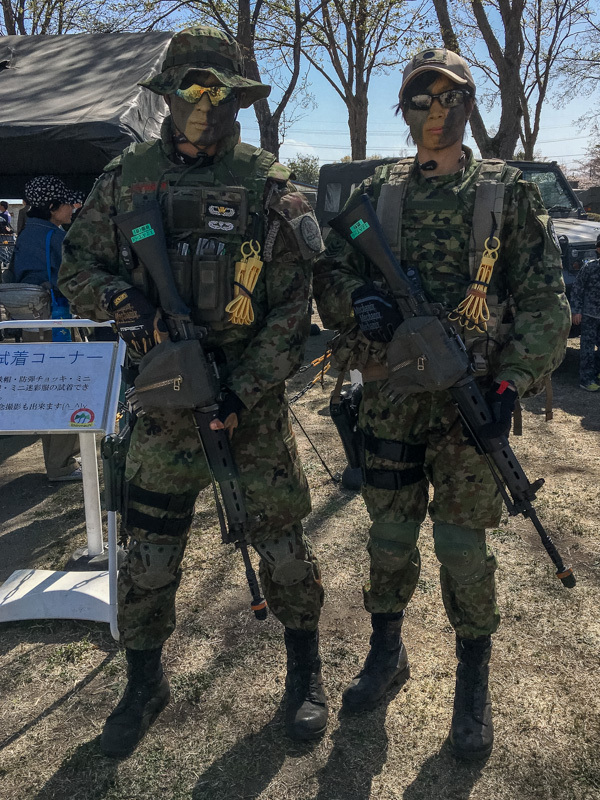 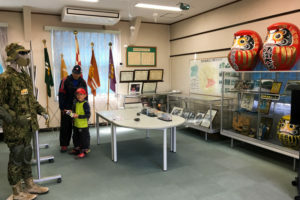 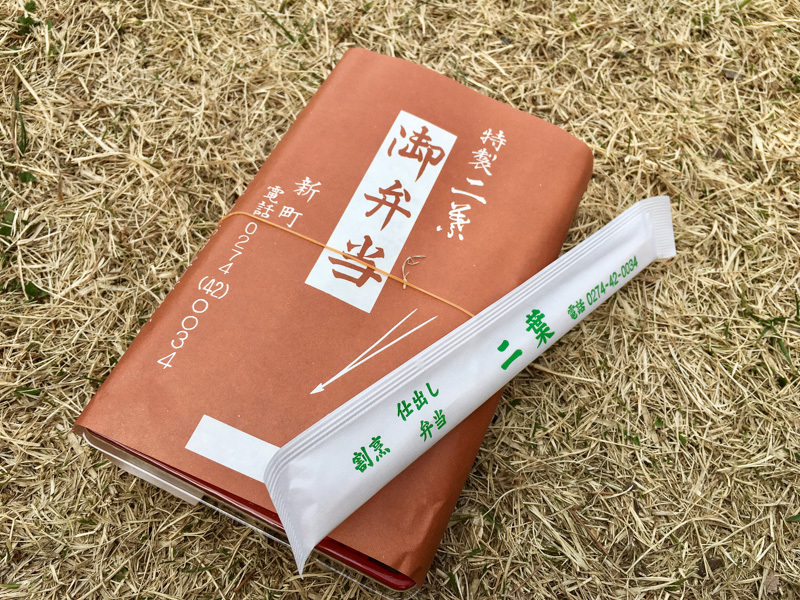 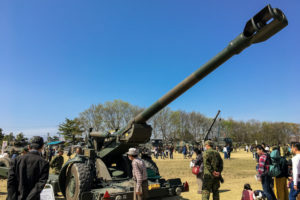 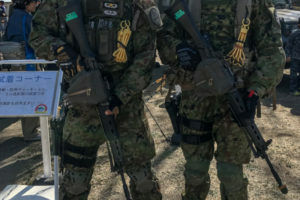 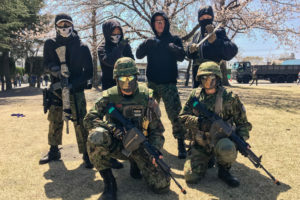 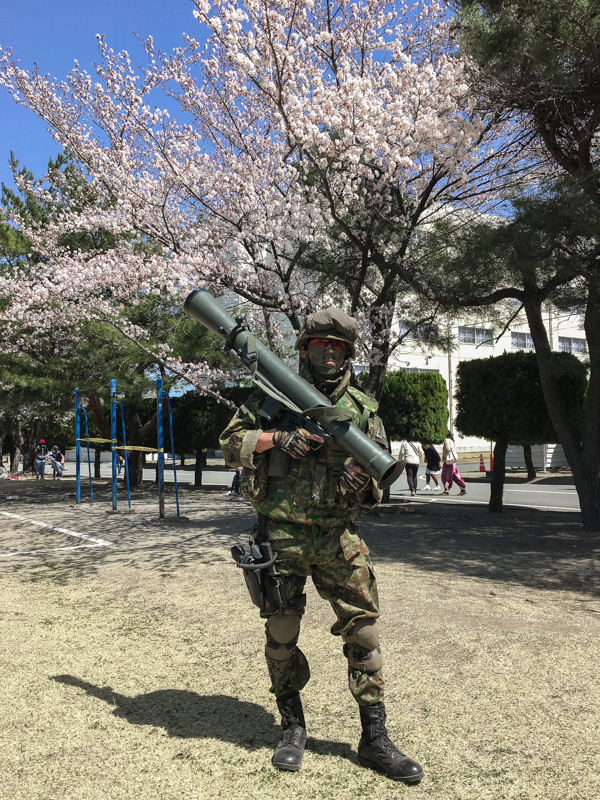 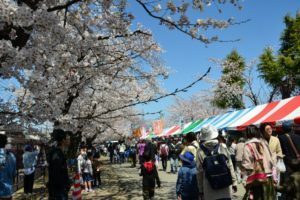 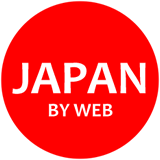 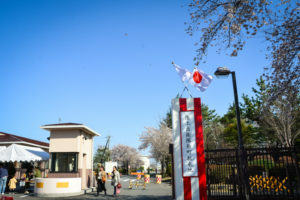 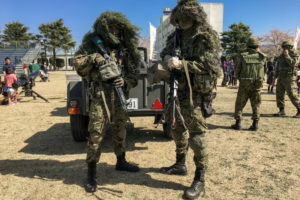 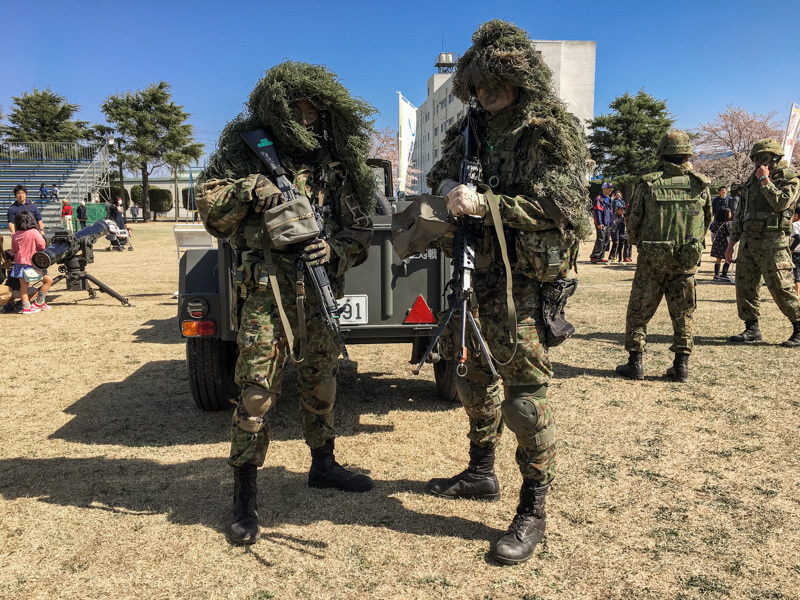 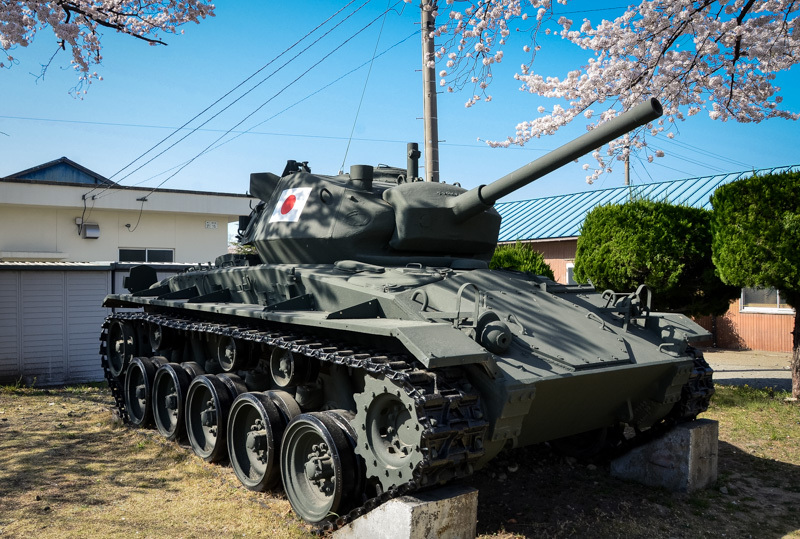 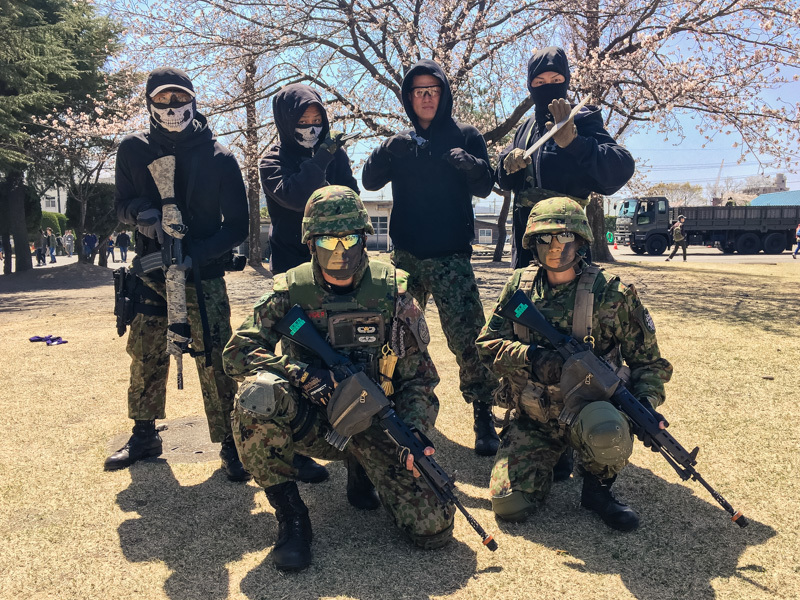 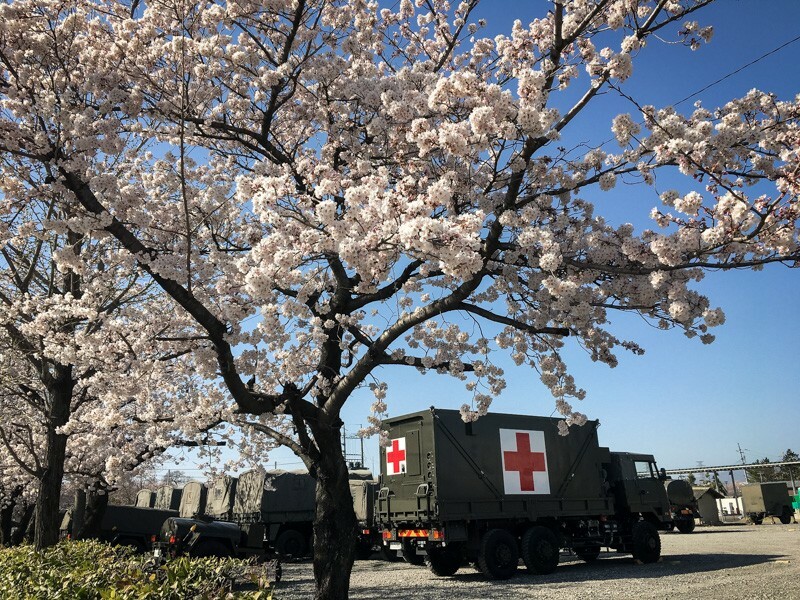 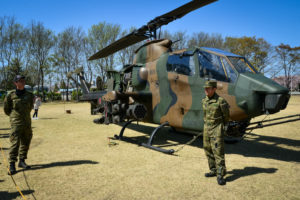 Shinmachi Sakura Matsuri at JGSDF (Japan Ground Self-Defense Force) Camp Shinmachi, 6-7 April 2019. 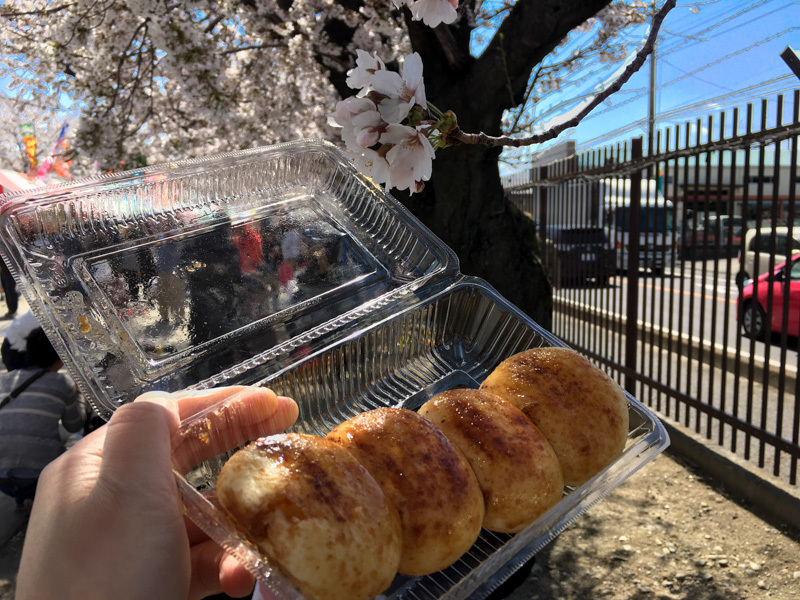 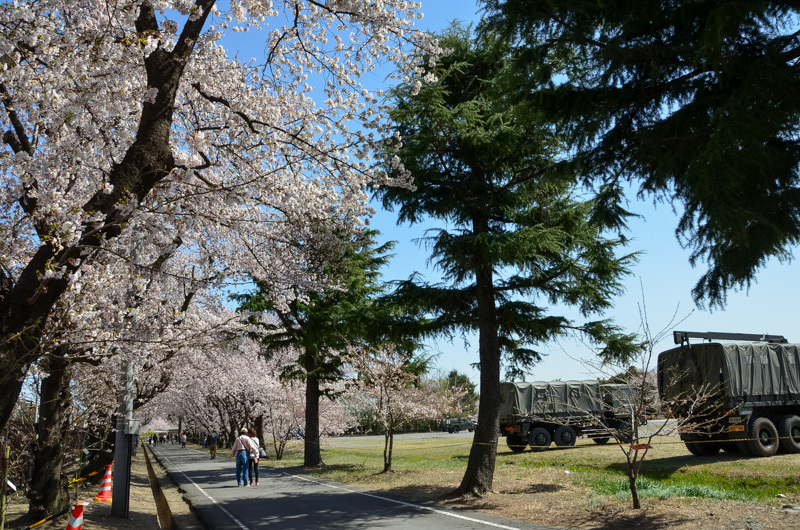 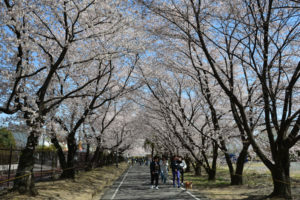 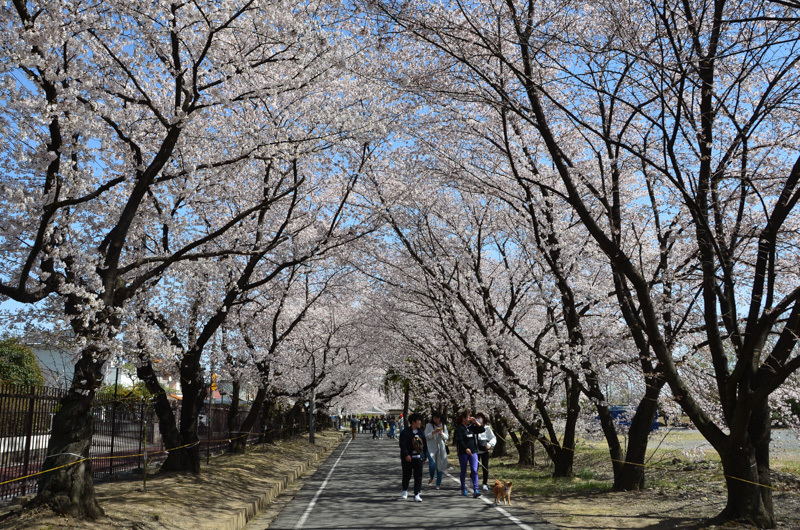 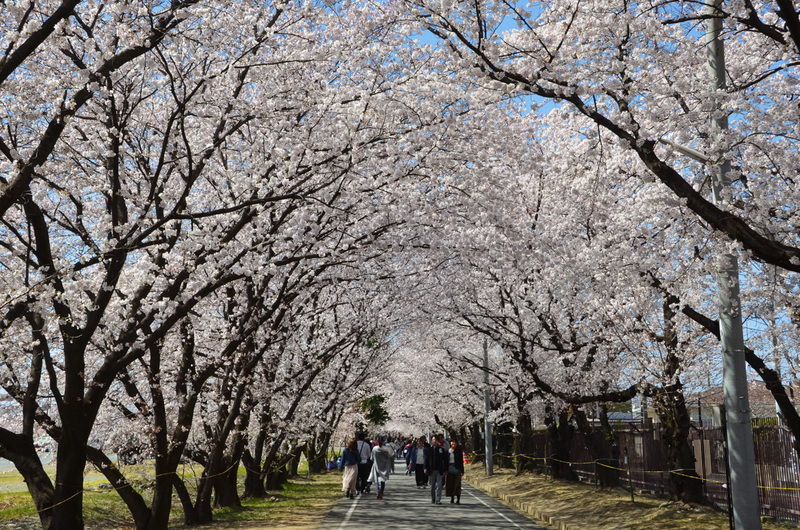 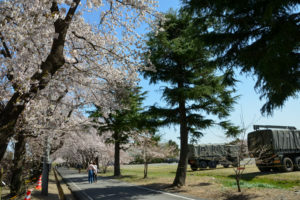 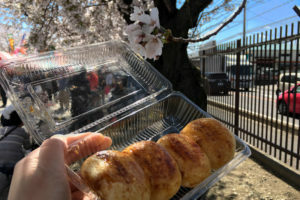 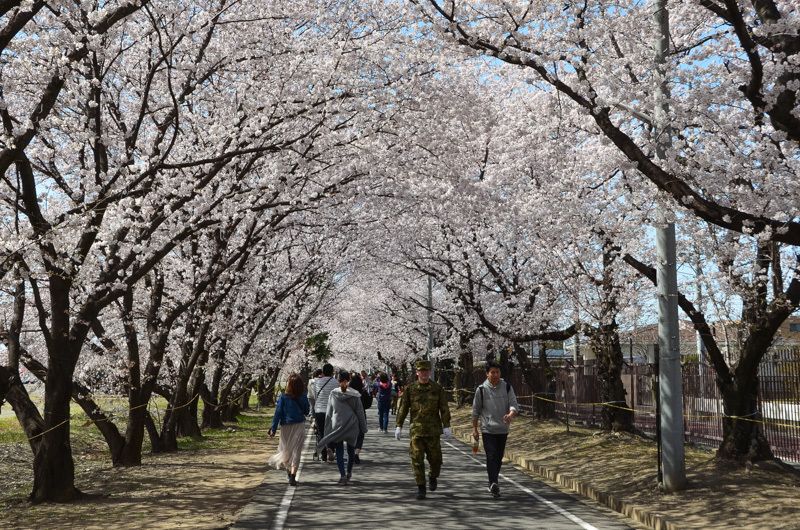 Enjoy cherry blossoms while walking around the base. 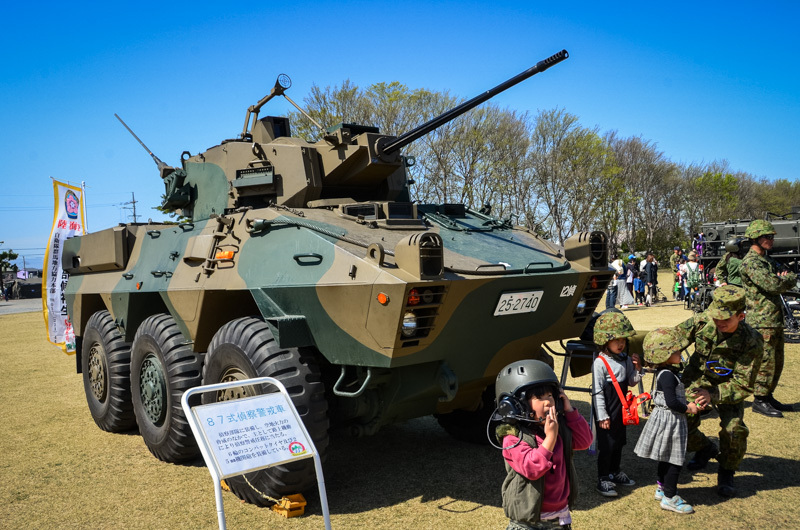 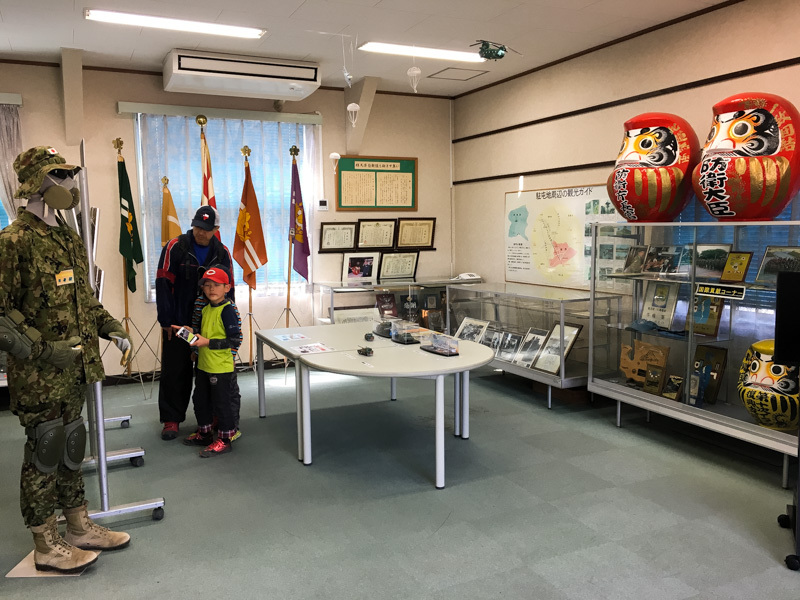 Self-defense force demonstrations and vehicles are on display and you can have photos with Japanese commandos. 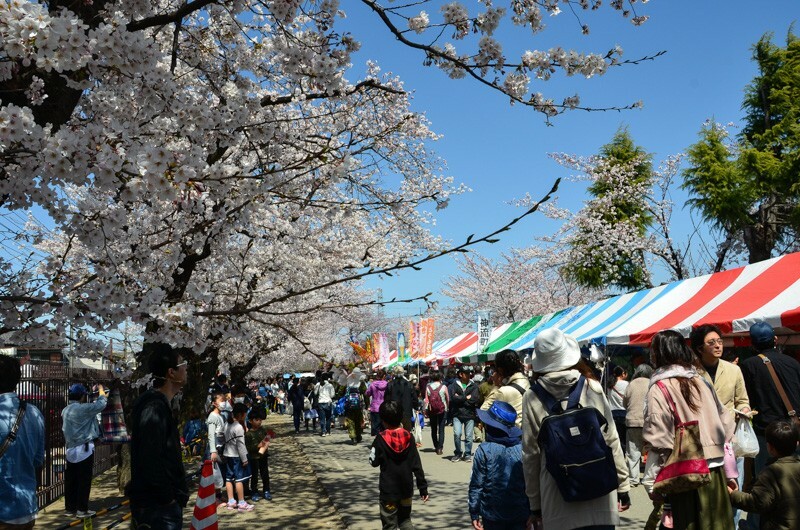 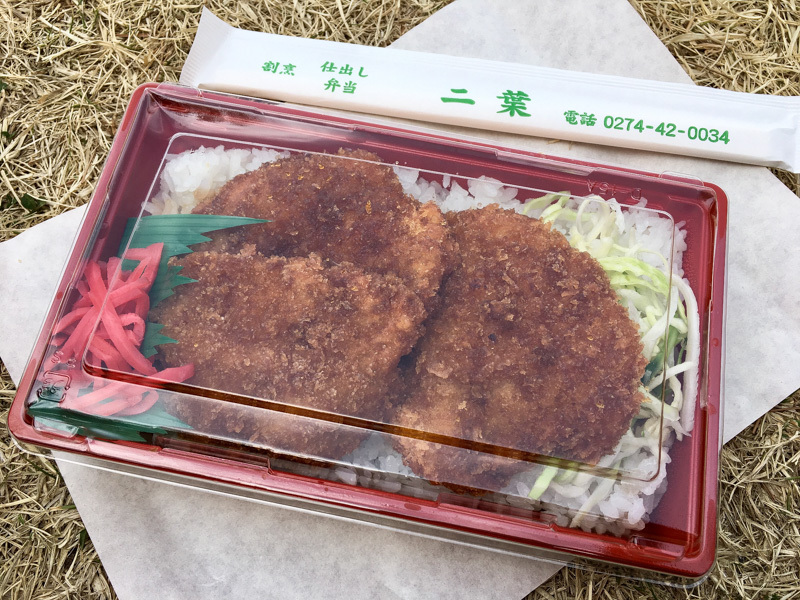 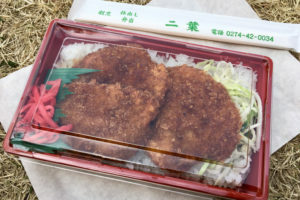 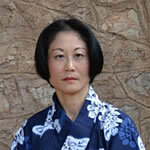 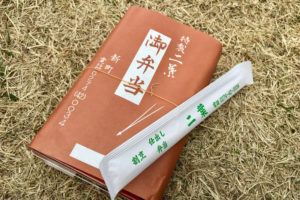 The Festival is annual. 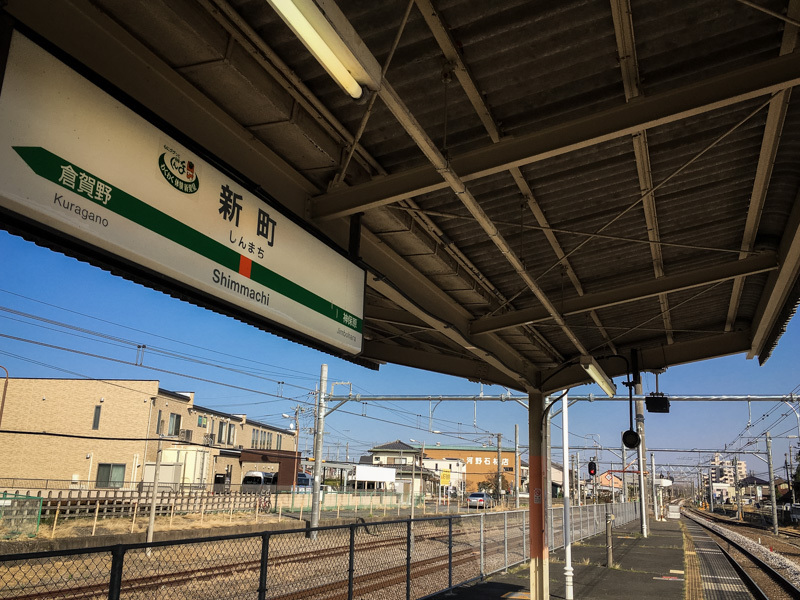 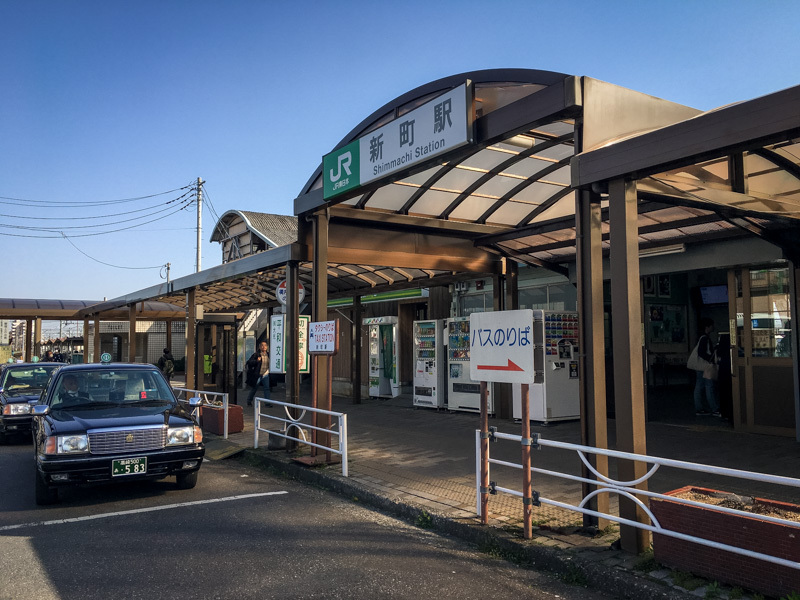 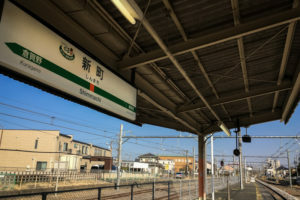 About 2 hours by train from Tokyo (JR Keihin-Tohoku Line and JR Takasaki Line), at Shinmachi, Gunma Prefecture. 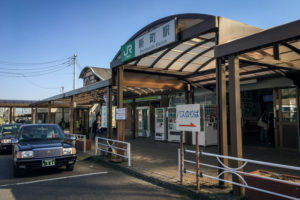 The town was merged into the expanded city of Takasaki. 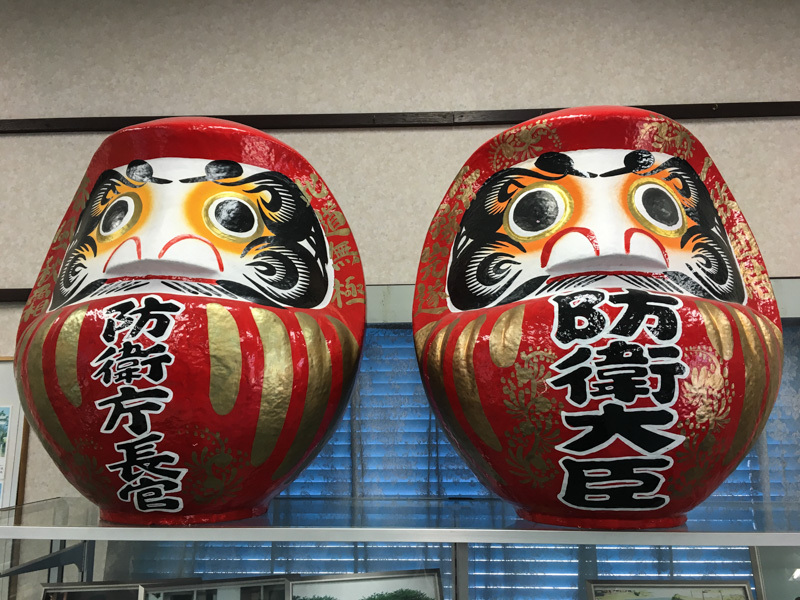 Takasaki is famous as the hometown of the Daruma doll.